J.M. Hazell Electrical Limited have a great track record when it comes to the industrial sector and this is proven through the various successful jobs completed for many different contractors over the years. From factory outlets to industrial units, control wiring to specialist power & lighting, we have done it all. Many industrial areas, do not realise that their existing 3 phase systems are perhaps old, maybe overloaded and not to current IEE Wiring and HSE Regulations. 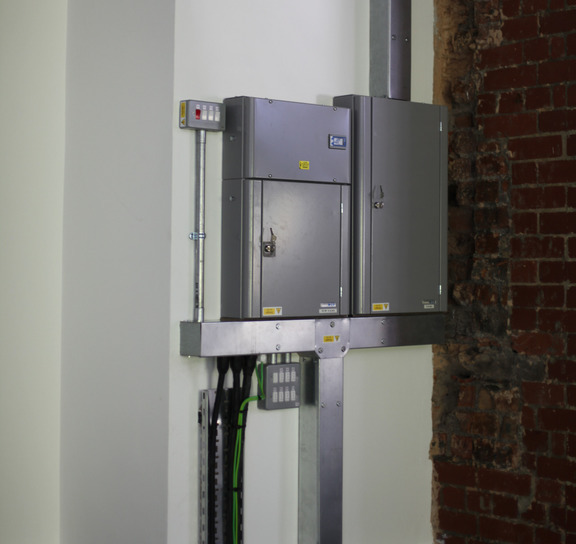 We install Panel Boards, Busbars, Trunking and all types of 3 phase installations. In a rapidly changing technological world together with an ever increasingly regulated environment it is becoming difficult to keep up with the technological infrastructure and your legal obligations. Companies when they expand, sometimes just add on to their existing installations, not realising, that they could be creating an overloading environment, which could lead to major downtime in the future. No electrical system can be considered ‘Safe’ for use until it has been Tested & Inspected. Furthermore, all electrical systems deteriorate with age and use, established systems should always be tested, on a scheduled basis, to ensure compliance with BS 7671. This type of certification is now increasingly being required by Insurance Companies and the local HSE departments. Whether you require a new emergency lighting system, extension of an existing system or just an upgrade. J.M. Hazell Electrical are familiar with the various types of Emergency Lighting Systems from Churches, Offices and Industrial Units and will provide a full service to ensure that your emergency lighting system complies with all relevant legislation. We supply and install all types of security, outside and flood lighting to all types of buildings, either operated by sensor and/or switching. We carry out Periodic Inspection Reports to all types of Industrial premises. This report will inform you of the condition of your electrical installation and any areas that do not meet current standards. You are also issued a full report on any remedial works that maybe required to bring the installation to a ‘Satisfactory’ standard. We can provide installation of new circuits, panel boards, lighting, service call and maintenance work for existing buildings’ electrical systems and disconnection and reconnection of wiring for relocated processes or equipment. Installation of 3 phase 400 volt wiring. We also provide design and installation for new building wiring, expansions or remodels, drafting services and budget estimates for projects.